Instructions of use: Use for Chinese cooking, usually used as an alternative to meat and poultry, especially in vegetarian cuisine. 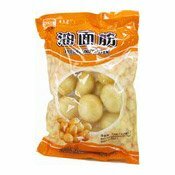 The fried gluten balls absorb flavour very well and are widely used in stir fried dishes, stews, and hot pots. Allergens: Wheat, gluten, cotton seed oil. 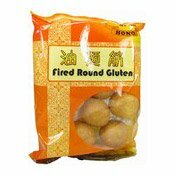 Simply enter your details below and we will send you an e-mail when “Fried Round Gluten (油面筋)” is back in stock!